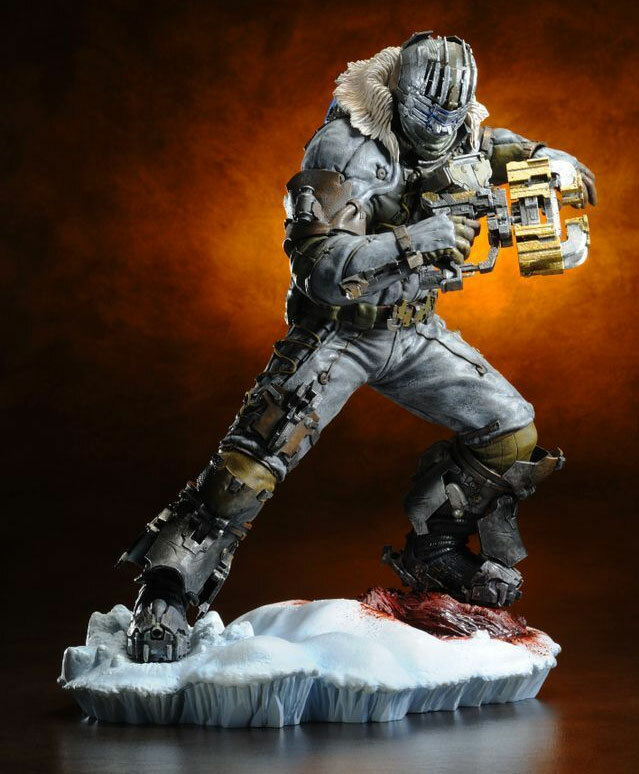 Check out Kotobukiya’s new ArtFX statue of Isaac Clarke from the upcoming Electronic Arts video game Dead Space 3. The main player character in Dead Space 3 is former engineer turned hero Isaac Clarke. In EA’s third instalment of the popular sci-fi horror video game Clarke is tracking down the galactic Necromorph menace to stop it once and for all. 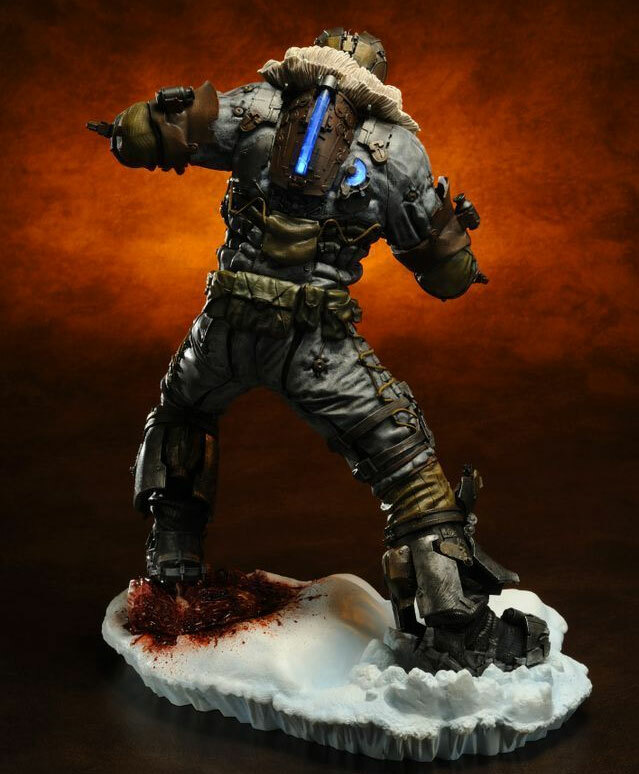 This new ArtFX statue reproduces Clarke as he stands triumphant after finishing off a Necromorph on the frigid Tau Volantis. He is wearing his iconic Resource Integration Gear suit, complete with slitted facemask together with new alterations for the third game and its arctic setting. The RIG suit flexes around Isaac as he lunges to one side in a battle stance with his trusty Plasma Cutter in hand. Kotobukiya have gone to great lengths to ensure this statue boasts incredible detail. Ball-joint in the hero’s neck so you can pose him to your liking. This statue looks absolutely amazing. The detail is stunning. Kotobukiya have out done themselves.